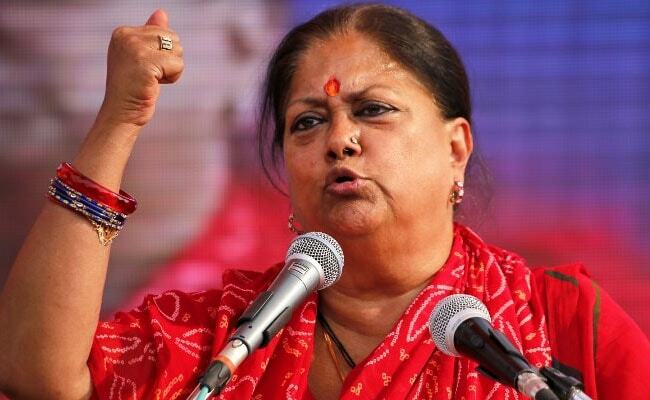 Rajasthan Chief Minister Vasundhara Raje won with a margin of 34,890 votes against Congress' Manvendra Singh. Rajasthan election 2018: Vasundhara Raje won with a margin of 34,890 votes. Rajasthan Chief Minister Vasundhara Raje won the Jhalarapatan assembly constituency for the fifth consecutive term on Tuesday, defeating Congress candidate Manvendra Singh. Ms Raje won with a margin of 34,890 votes against Mr Singh who had left the party in September and joined the Congress on October 17. In 2013 assembly election, Ms Raje had won from the same seat by 60,896 votes while Mr Singh, the son of veteran BJP leader Jaswant Singh, had won from the Sheo constituency with a margin on 31,425 votes. Ms Raje will represent the Jhalarapatan constituency for the fifth term in the 15th Rajasthan Assembly.